The duck is too fast! Last week something happened which deserved the pages of many newspapers in Switzerland, Germany, Italy and even on the British Daily Mail! In Switzerland the speed limit is a serious matter! And the maximum speed shall be always complied with. In a lot of places, to be sure that no one can drive too fast, there is a generous installation of fixed or moving speed traps and cameras. In this case, the location is a small city not so far from Bern, Köniz. In particular a street, with related speed trap, where the maximum speed is 30 km/h. 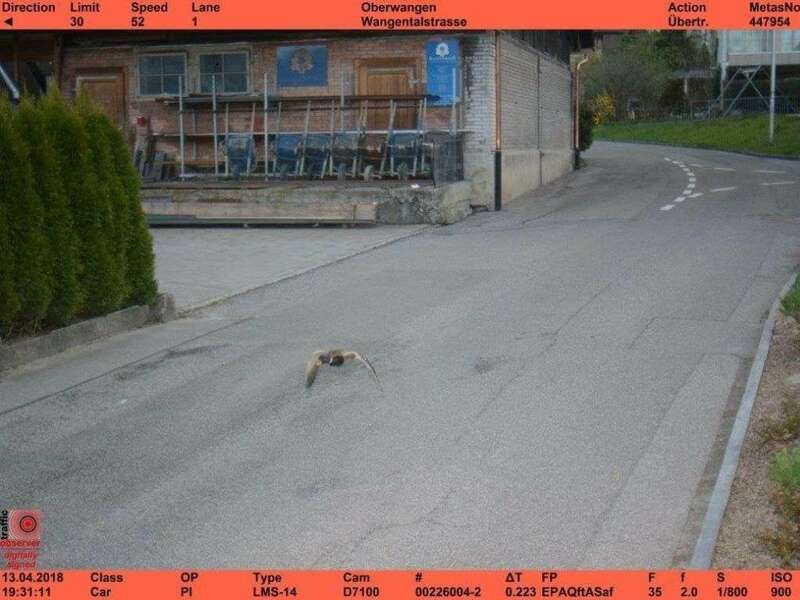 One of the fastest at the speed trap, with 52 km/h, was not a sporty car but just… a duck!! A flying duck which was not “captured” on the lake or shot by a hunter, but by a very diligent speed trap! FLYING POLICE . So the ducks will respect the limit of speed in the town.